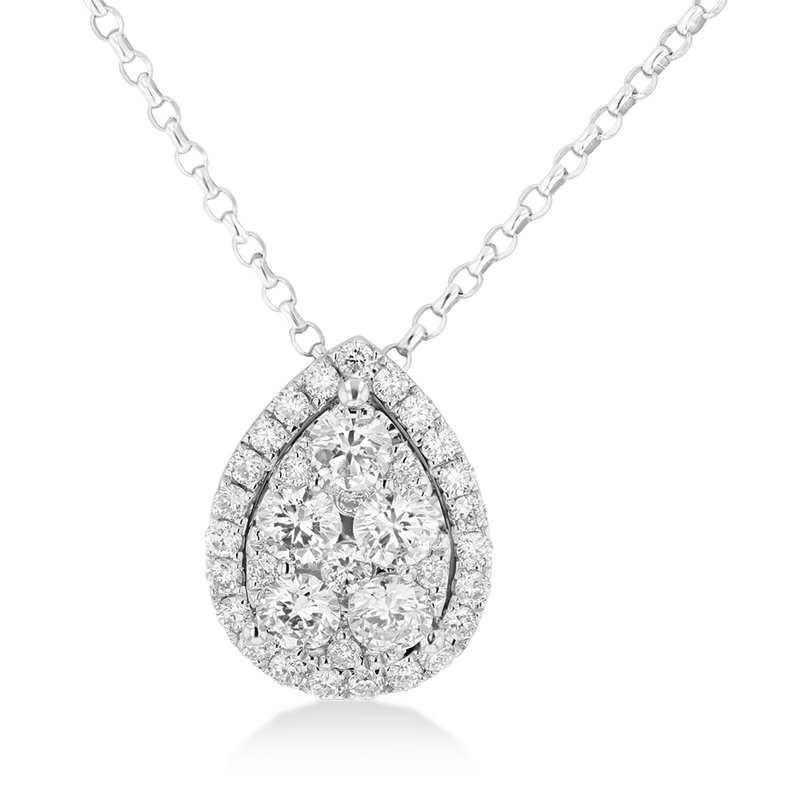 This diamond pendant is available in 18K white gold. The diamonds have a total carat weight of 0.74 carats. Copyright © 2019 Louis Creations. All Rights Reserved.